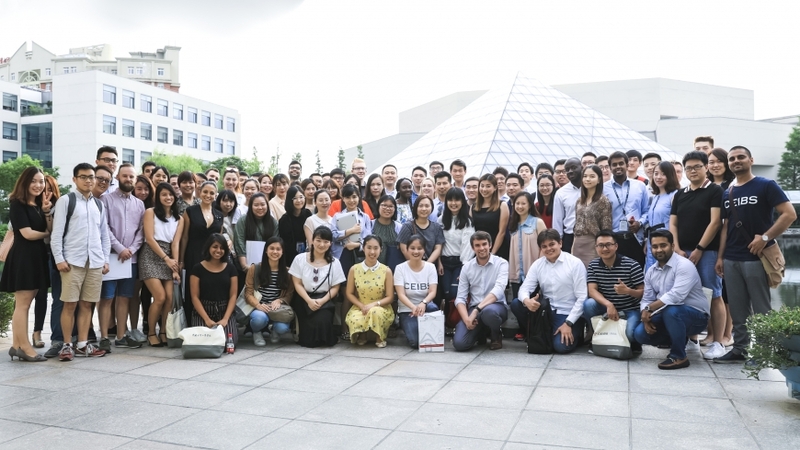 To kick off the 2018 boot camp, participants visited the multinational professional services powerhouse PwC to hear about why technological disruption has led them to open their Innovation Centre in the heart of Shanghai. 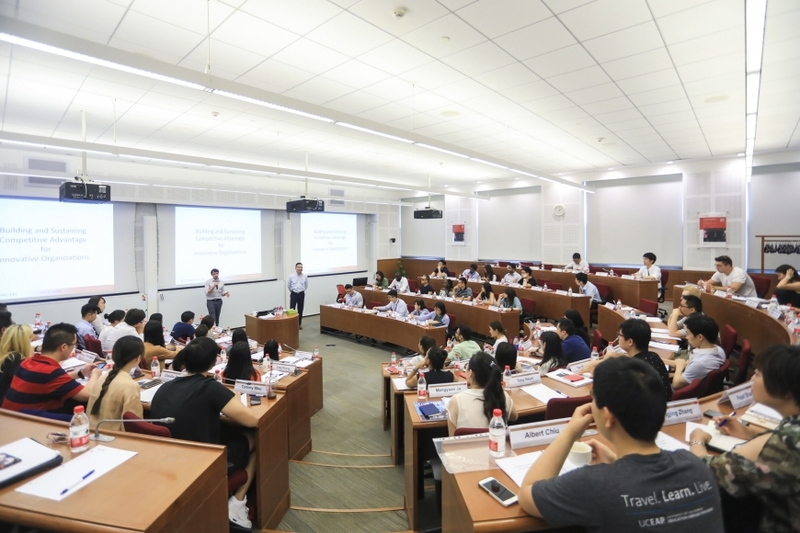 CEIBS alumni Elton Huang (EMBA 2014) and Jennifer Han (MBA 2010) shared their experiences of life on campus, along with their thoughts on the current and future business trends impacting China. The afternoon marked the first of four lectures to be given over the course of the week. Associate Professor of Strategy Zhang Yu discussed the implications behind the merger of Chinese group-buying companies Meituan and Dianping in a case study focused on ‘Building competitive advantage for innovative organisations’. The evening was spent in the company of MBA Ambassadors as boot campers networked in the sunshine over a BBQ on campus. 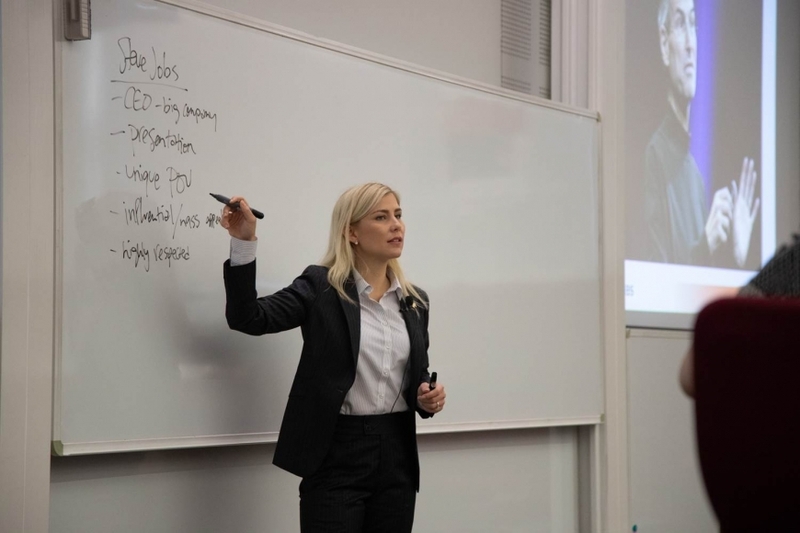 Assistant Professor of Management Emily David led students to explore the relationship between body language, verbal communication, power, and leadership. 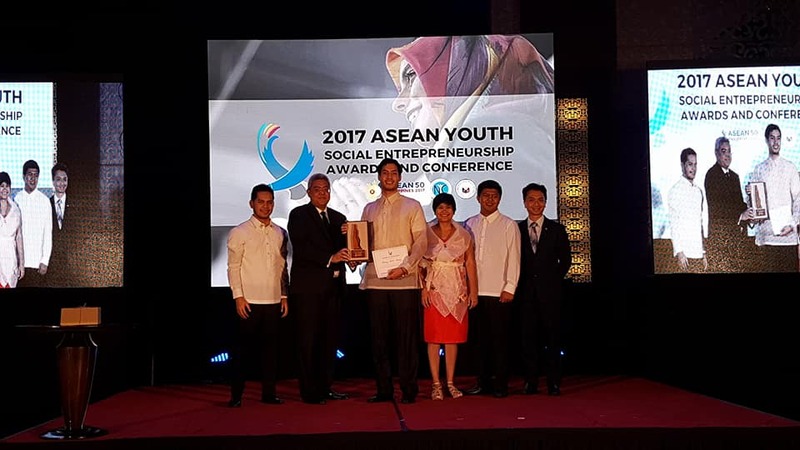 To become a future business leader, young professionals must be aware of and understand the inherent relationships between such mediums, she explained. In her case discussion, Professor David demonstrated how the same words presented with different levels of confidence can be perceived very differently. “People are always worried about what they’re going to say or how they’re going to say it, but they don’t think enough about their body language when they’re going to say it,” she said. Lunch was spent in the company of consultants from the MBA Career Development Centre. 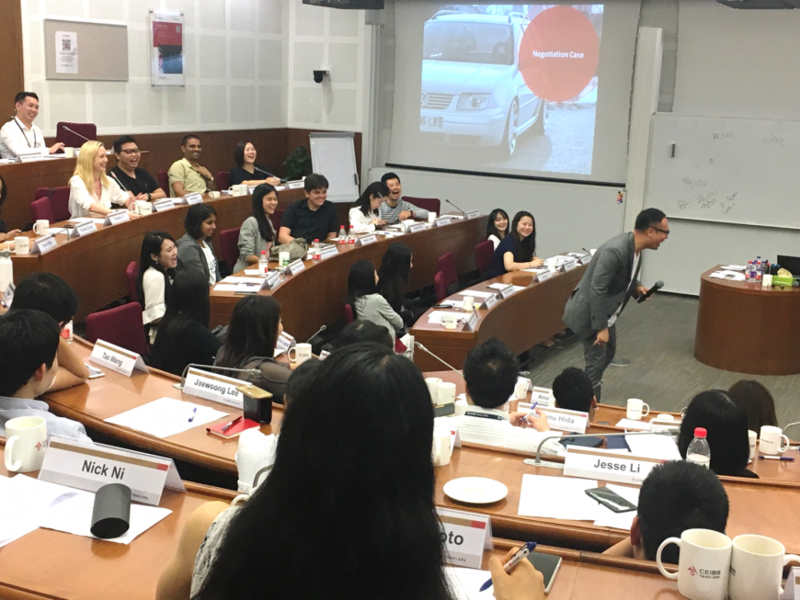 Boot campers were given a taste of this resource as consultants shared their insights on career opportunities, market trends in Asia and alumni success stories. Later in the day, boot campers with an interest in the real estate and retail industries visited Value Retail, the luxury retail company that boasts the highest profitable retail space by square footage in the world, and operator of Shanghai Village. Already in its third year of operation, Shanghai Village is projected to be the most profitable mall in Asia. Value Retail’s China CEO Mark Israel shared the company’s mission to package shopping as an experience rather than a task. Lecturer of Strategy Ginkgo Bai kicked off day three with a class focused on ‘Creating and Capturing Value in a Digital China’. Boot campers discussed the business implications behind China’s booming technological expansion. Their discussions touched on how, for example, Guiyang – a city still in development – is able to locate a single person on a busy street within just seven minutes with only security cameras and facial recognition technology. More importantly, what does this mean for businesses in the future, in terms of determining and expanding on their value chains and markets? 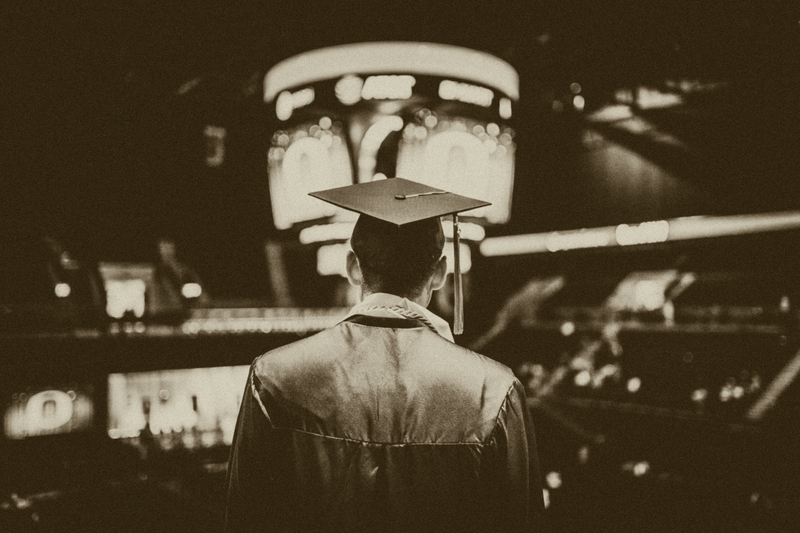 Dr. Bai’s case study compared Chinese e-commerce giants Taobao, operator of Tmall, and JD.com, providing students with an understanding of the changing business models in today’s China as a result of digital advancement. In the afternoon, boot campers had the choice of visiting either Bayer or Starbucks. 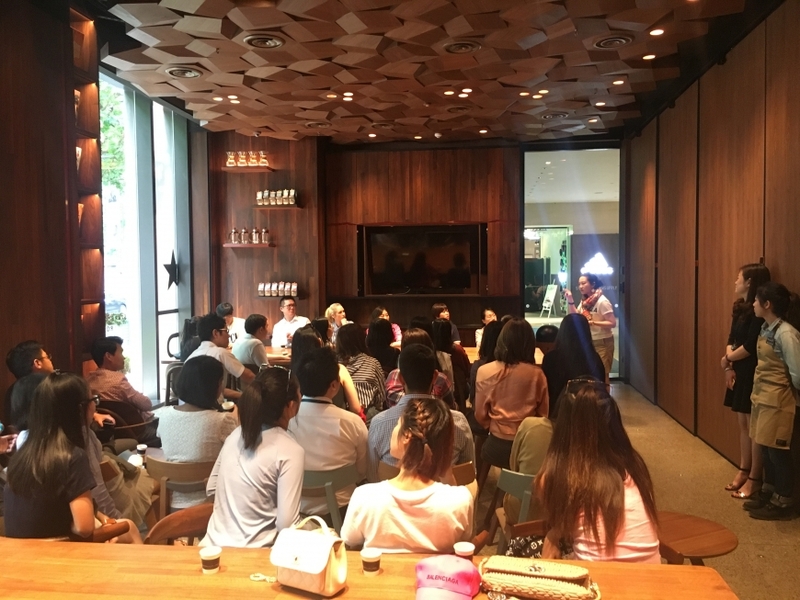 The Starbucks side of the class visited the largest Reserve Roastery outside of the United States and were greeted by former HR Director and CEIBS MBA 2007 alumna Elaine Zou. They enjoyed a tour of the facility, which was designed for customers to enjoy with a coffee in one hand and a smartphone in the other. Bayer’s Head of Business Consulting, Gaetan Le Bars, welcomed boot campers to the pharmaceutical giant’s Lujiazui office and explained how his department works to generate added value for customers and the wider society. 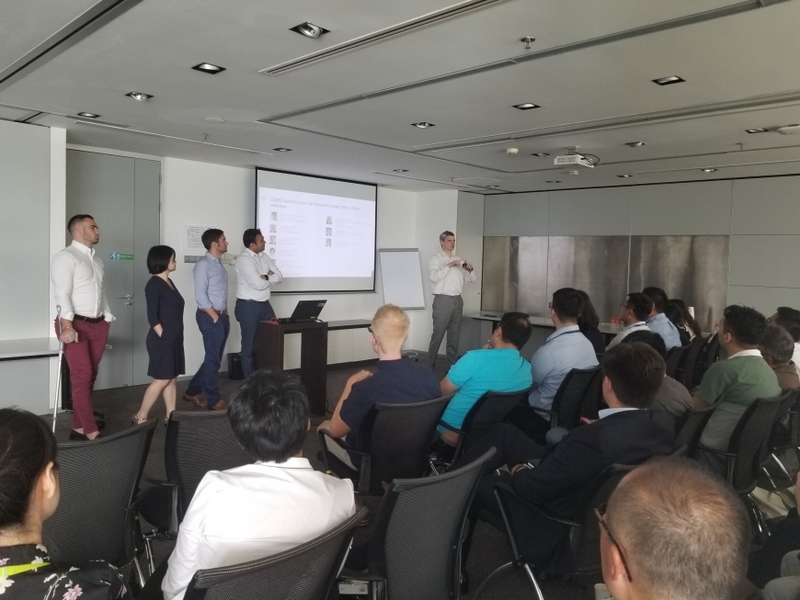 The presentation was followed by a campus tour and sharing session with four MBA alumni – Rohan Kamath (MBA 2016), Luca Ratte (MBA 2018), Caren Liang (2015), and (MBA 2016) – who spoke frankly about their CEIBS experience and how it helped them build a bridge to their current careers. Kicking off the penultimate day, Professor of Economics & Associate Dean Bala Ramasamy discussed the long-term trajectory of China’s economy, contrasting the changing social and economic climate of future generations to the spirit of entrepreneurship. “As China’s population begins to increase in age and future generations become less and less inclined to entrepreneurship, China will have to innovate new policies and solutions to continue stimulating GDP growth,” he said. In the afternoon, boot campers had the opportunity to visit Shanghai’s tallest skyscraper, the Shanghai Tower. 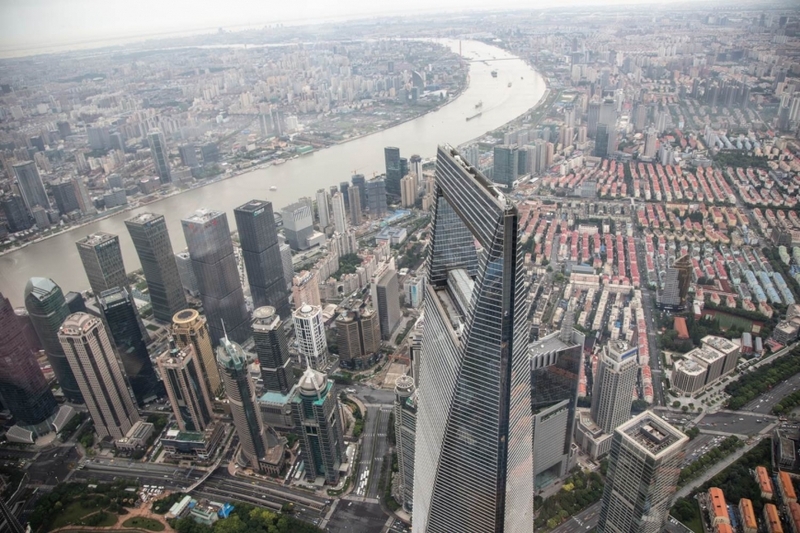 After taking one of the world’s fastest elevators to the observation deck, they were able to experience the majestic view of Shanghai from above. 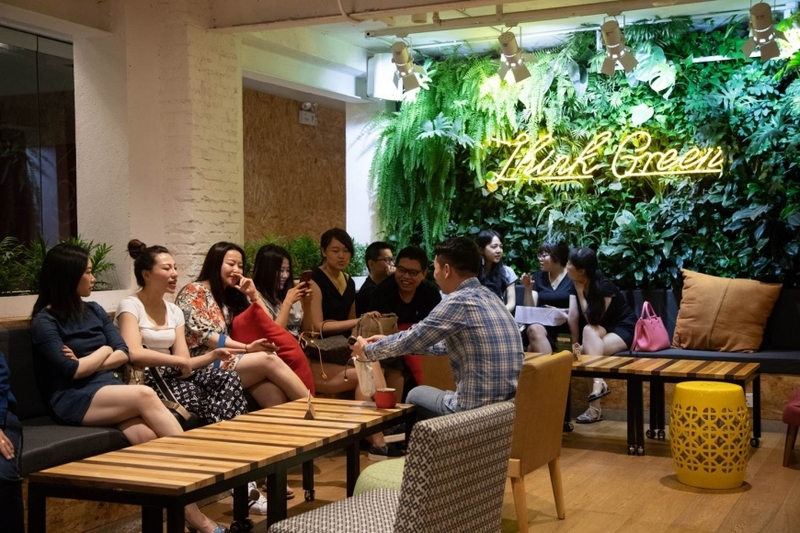 In the evening, boot campers visited one of China’s leading shared working spaces, naked Hub. 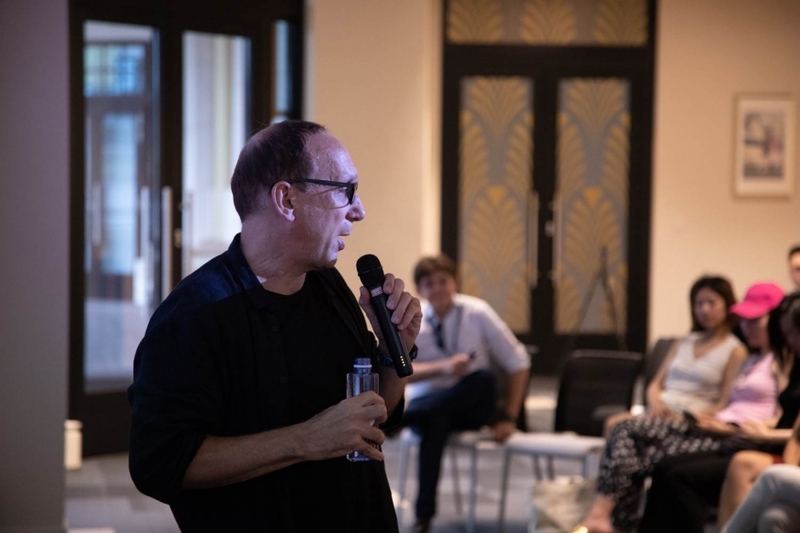 Against a background of colourful sofas, ping pong tables, and an open bar area, naked Hub invited entrepreneurs to share their experience of leaving corporate life behind and expanding their start-ups in one of the world’s most dynamic cities. 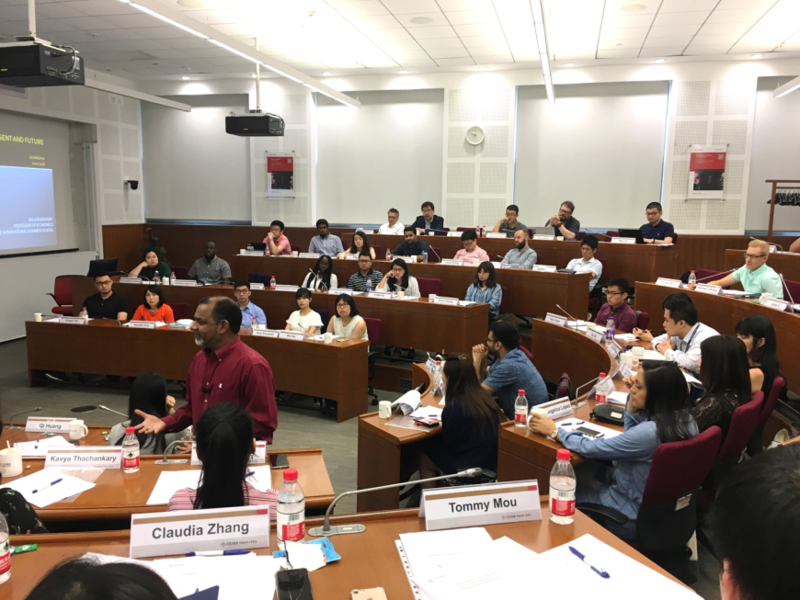 To round off the series of lectures specially designed for the CEIBS Summer Pre-MBA Bootcamp, MBA 2009 alumnus Jeff Pi shared useful tools and strategies for successfully leveraging CEIBS resources and network for career development. “Most people don’t aim too high and miss. They aim too low and hit,” he noted. 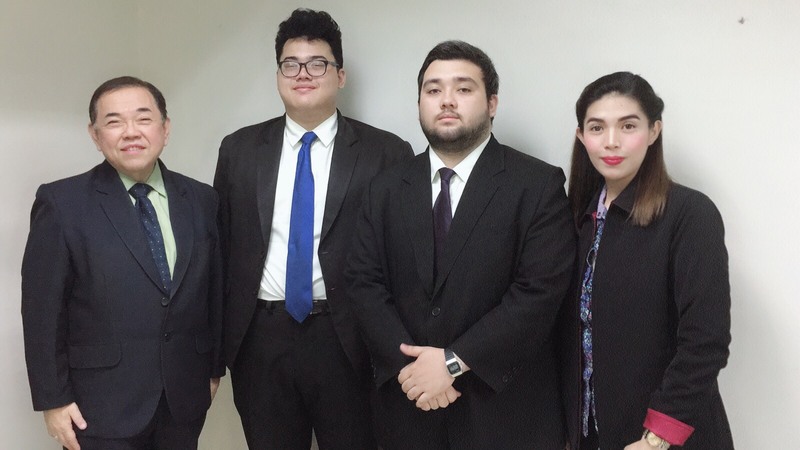 As the day progressed, four MBA alumni came back to campus to share their advice on a range of subjects including GMAT prep, the value of KTV and finding the right balance between academics, networking and sleep during the full-time MBA programme. 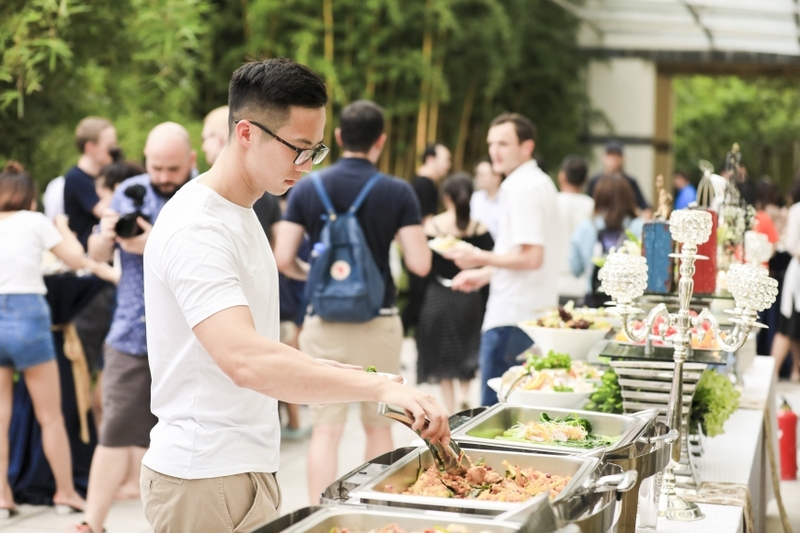 If you are interested in registering for CEIBS Pre-MBA Summer Bootcamp 2019, please contact James Kent at [email protected] for more information. 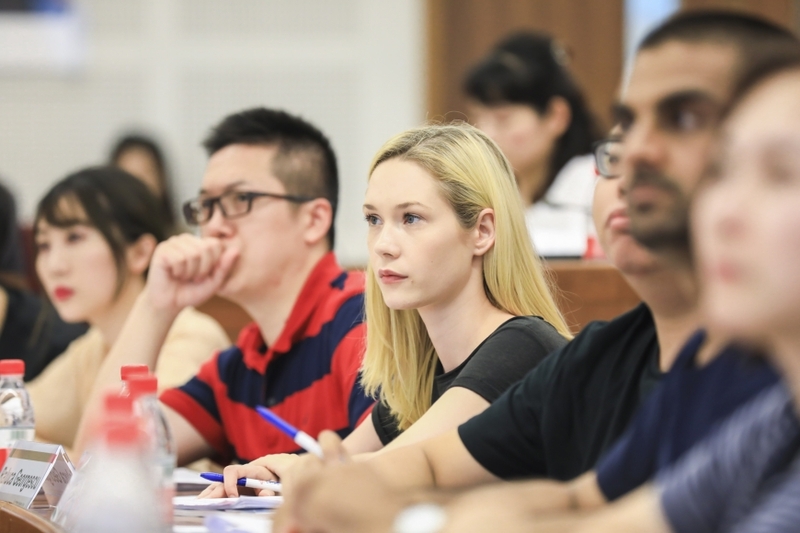 Learn more about the CEIBS MBA Program Here!